Anyone else making the trip to the Island of Enchantment to see the Twins wreck shop on the Cleveland baseball team? I have yet to purchase tickets to the game but I don't think it should be an issue.Has anyone been to the stadium before? Edited by FattCrapps, 27 March 2018 - 11:17 AM. So I'm going to be the only Twins fan there? Jeez louise. Wish I could.. That would be really cool! We expect pictures and reports, though. Also would like to hear the pulse of the locals; although that may have to go to the Sports Bar. When are the games? 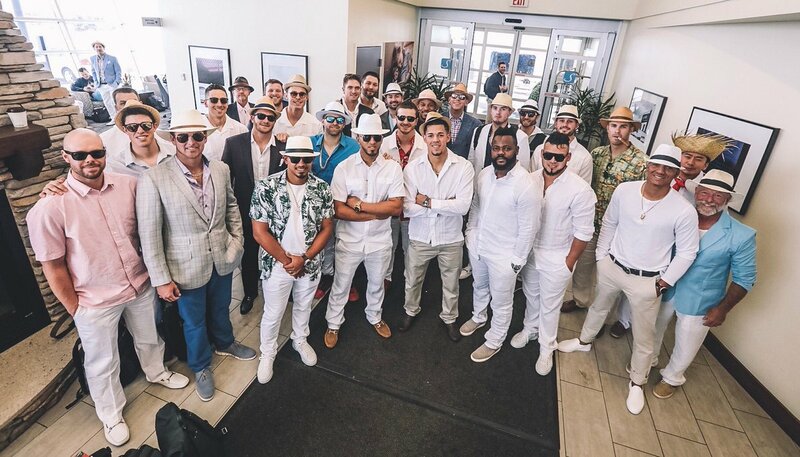 I have imagine it is going to be a big ol party when Berrios pitches. Berrios is slated to pitch the April 17 game. I would love to but I don't have the funds for that. It would be an amazing experience though! I agree with the others, a full report would be a fun read. Given the popularity of baseball in PR, I don't think I'd hold off on getting tickets. Hey I'll be there, flying over from the DR for both games. Gonna meet my Dad who's coming from MPLS. Got your tickets yet? I know he got ours about a month ago on the official website and said there wern't too many left. I know that there were also some on stubhub but they were crazy expensive. I don't know about Puerto Rico but here in the DR there is a thriving second hand market but for a game like this I can't imagine they will come cheap. Not sure what we're planning on doing besides baseball but we should meet up before one of the games and grab a beer or something. I bought the last ticket remaining for the Tuesday game (though now there is a standing room only option available).I'm tempted to go to the Wednesday game as well, but I want to explore more of the city and eat some delicious seafood. Where do you plan on grabbing a beer before the game?Taberna Boricua is a beer/cocktail joint that is fairly close to the stadium.Where are you guys staying?I'll be in Santurce. I bet the Twins are looking forward to some baseball weather. I will not be there but PR is fantastic! Gotta do the bioluminescent bay! Sounds like Berrios is now scheduled to throw the 2nd game on the 18th.Odorizzi on Tuesday. I'm just gonna stick with San Juan this trip.I've yet to experience Ponce and the west coast, but that just means I'll have to come back. They are off.... (I am assuming that is a chocolate cigar in Mauer's mouth). Edited by D. Hocking, 15 April 2018 - 02:29 PM. Rain a possibility on both days. Bring snakebite medicine.